Our regular monthly gig at the Catmose Club. Come along and say hi to us - we're open to requests (in advance!) if you have a tune you'd like to hear (or dance to), or even if you'd like to try singing with a live band. Come and support a fantastic free day of music in Oakham Castle in aid of Dementia UK. This event was so successful that it's being run again this year - please drop in - there will be music of different sorts on all day. We are absolutely chuffed to bits to be invited back to Thrussington again for.. the sixth time maybe? We are working hard at a varied setlist . Full details for times,tickets etc to follow when I have them. It's an 'afternoon' event! It's the Monday before Christmas. It's time to let your hair down . It's time for another FREE night of good old big band swing, with just a light festive flavour. Our regular Monthly Monday evenign gig - come and dance along! An event to raise money to support the village hall, with lots of great 1940s tunes. Come along for a dance! Please call 01572 737433 for tickets. Note that there is no bar - feel free to take your own drinks and nibbles. 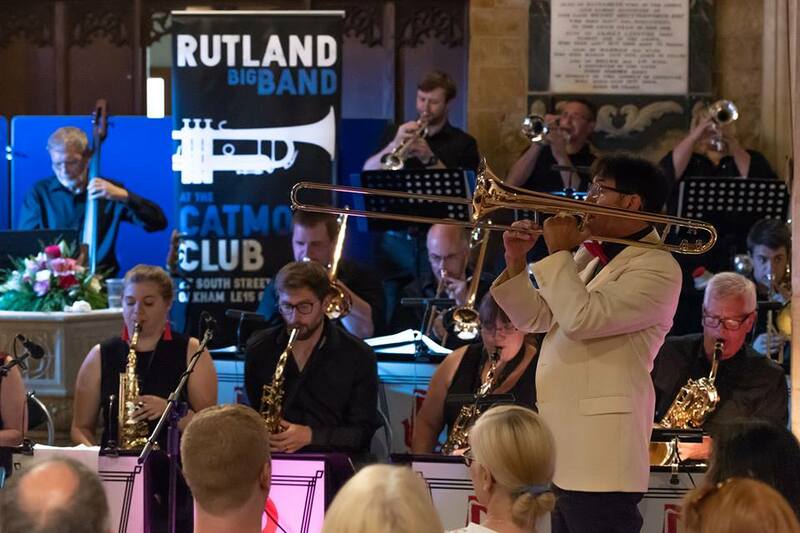 The Rutland Big Band on tour visits the Hambleton Church, hosted by the Rotary club. Proceeds to the AIR AMBULANCE and other ROTARY CHARITIES. Tickets are £12 to include drinks and savouries. Please email gailtimgriffin@gmail.com to reserve tickets. Phone number to follow!